Scientific data indicates that CBD & THC can affect mitochondria, the energy adaptors that power every multi-cellular organism. How do cannabinoids influence cellular function? In 2012, French scientists reported the presence of cannabinoid receptors on the membranes of mitochondria, the energy-generating organelle within cells. This discovery laid the groundwork for subsequent investigations into the role of the endocannabinoid system in regulating mitochondrial activity, which is critical to how cells function. 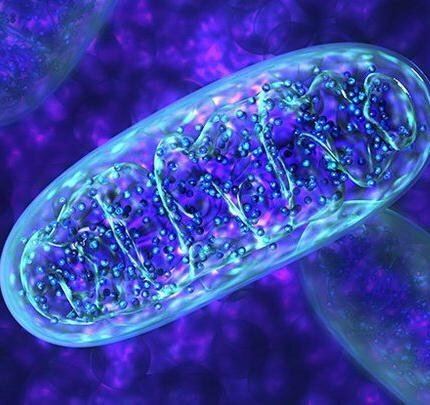 Defects in mitochondria have been linked a wide range of neurodegenerative, autoimmune and metabolic disorders—Alzheimer’s, schizophrenia, autism, cancer, epilepsy, diabetes, cardiovascular and neuromuscular disease, and more. A growing body of scientific data indicates that cannabidiol (CBD) and tetrahydrocannabinol (THC), two key components of the cannabis plant, can affect mitochondria, both directly and indirectly. It turns out that many of the biological pathways that involve mitochondria—including energy homeostasis, neurotransmitter release, and oxidative stress—are modulated by endogenous and exogenous cannabinoids. Mitochondria are universal energy adaptors that exist in the cells of every multicellular organism, including humans. The number of mitochondria in an individual cell can vary greatly depending on the organism and tissue type. (All human cells, except for red blood cells, contain mitochondria.) One of the main functions of mitochondria is to take high-energy molecules—such as sugars and amino acids—and convert them into a form of energy, called adenosine triphosphate (ATP), which the cell can use. For the cell, ATP is like a battery. This gradual release of individual electrons allows the cell to synthesize ATP from its precursors, adenosine diphosphate (ADP) and inorganic phosphate (Pi). The cleavage of ATP back into ADP and Pi releases a small amount of energy, which powers the proteins that allow each cell to function and communicate. ATP is the main energy source for the majority of cellular functions. While commonly referred to as the cell’s powerhouse, mitochondria are also involved in other metabolism-related functions, but the goal is always the same—homeostasis, the maintenance of a stable internal environment despite external fluctuations.